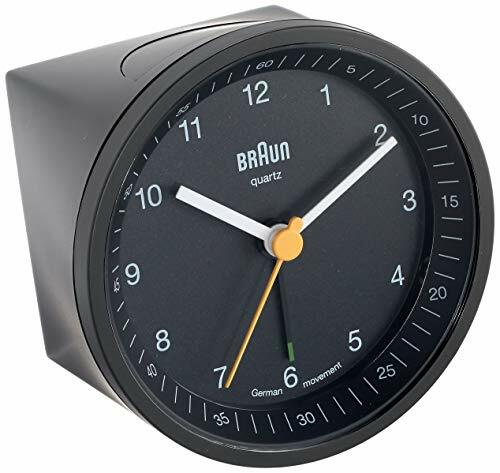 This is one of the coolest clocks! 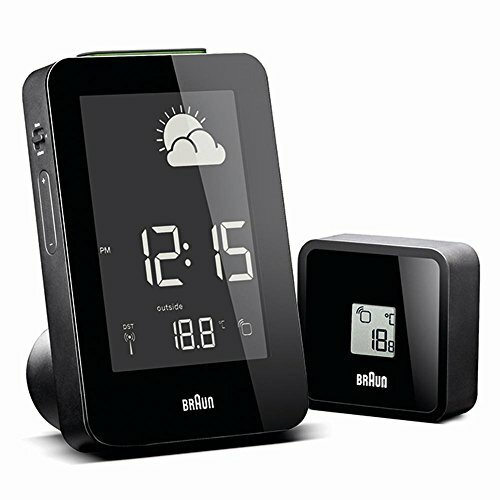 The time can be projected on your ceiling or wall, unlike other clocks where the display could bother you when sleeping! Please note this comes with an EU power supply and a power adapter for use in the US as well! Get yourself a steal on this great clock today!! 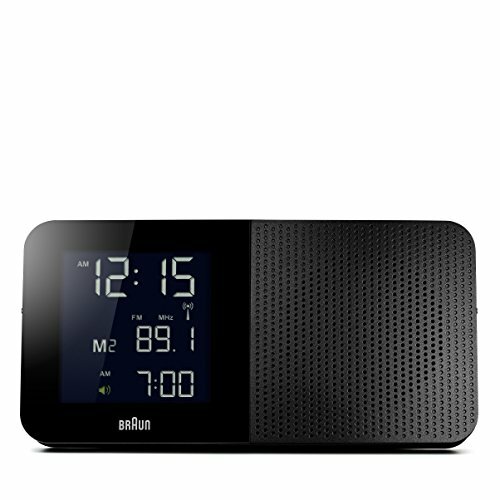 Includes clock, 3 AA batteries, EU power supply, US power adapter, instruction manual. 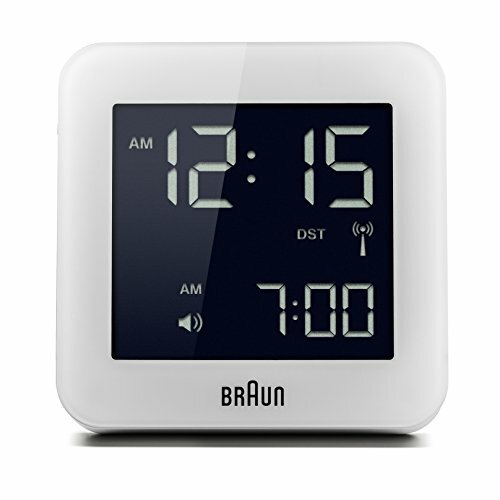 The digital global radio controlled projection clock captures Braun’s core values of functionality, quality and aesthetics. 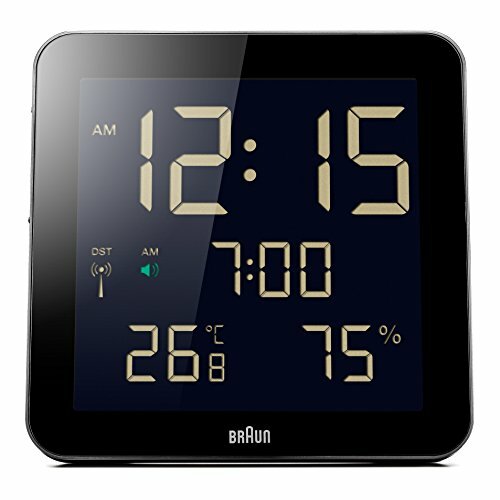 The unique tilting side-arm and projection display makes this an outstanding clock. 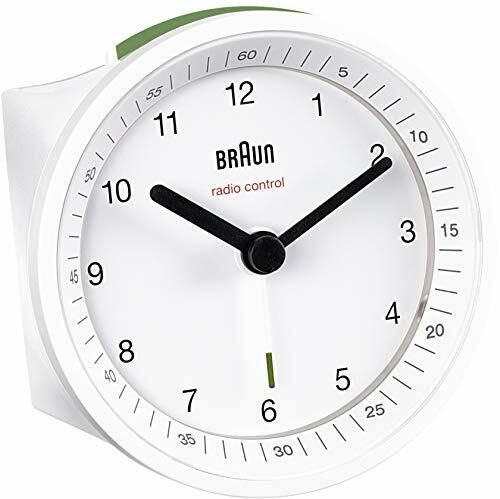 **This Braun clock is set and controlled automatically by MSF (UK), WWVB (US), JJY (Japan) and DCF (Germany) signal. Please check that these signals work in your area before purchase.